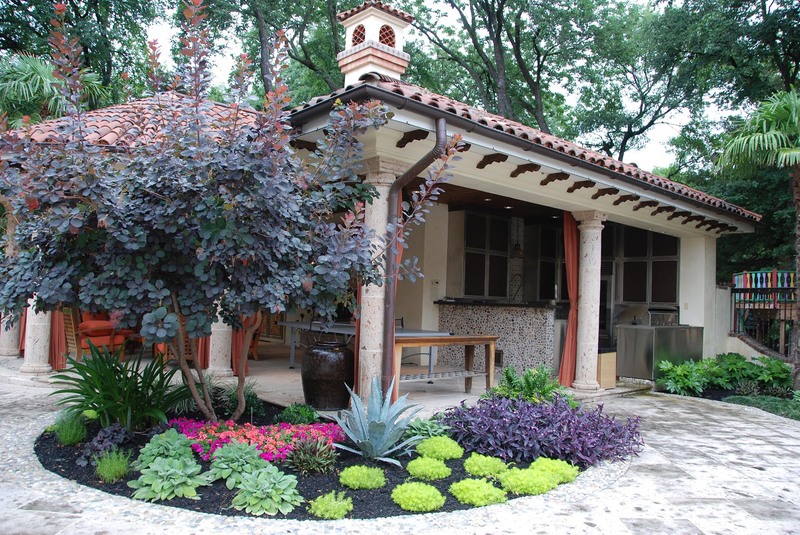 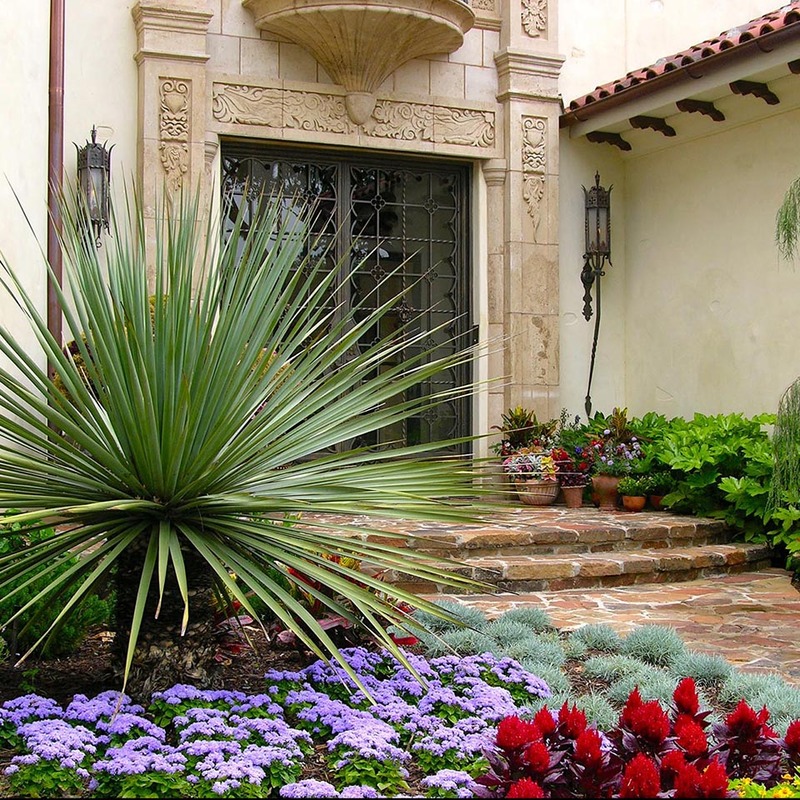 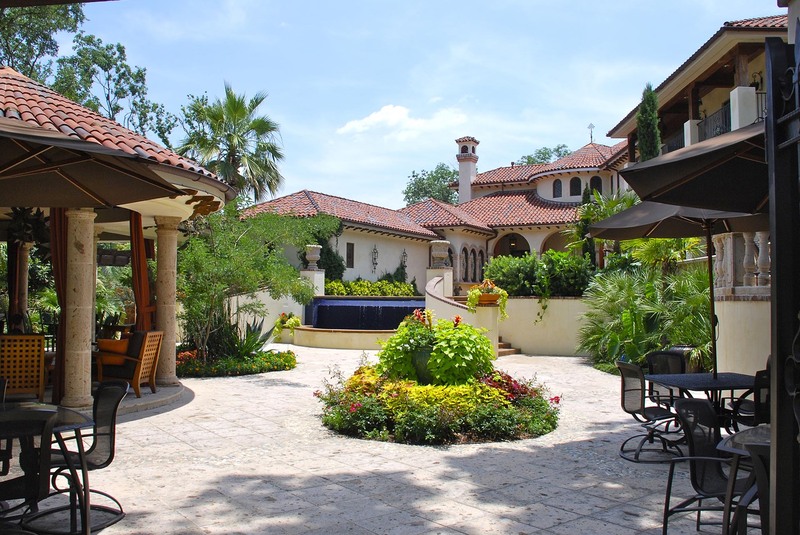 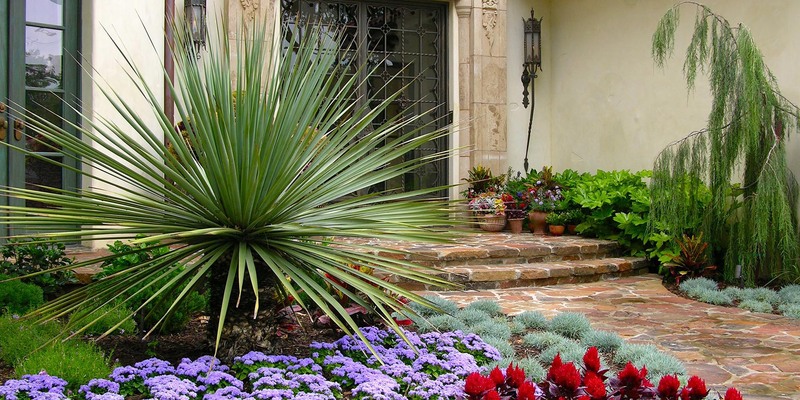 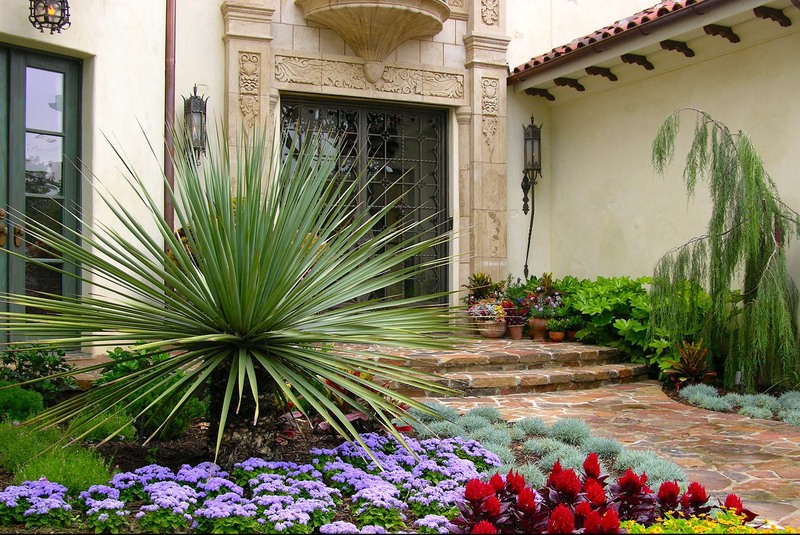 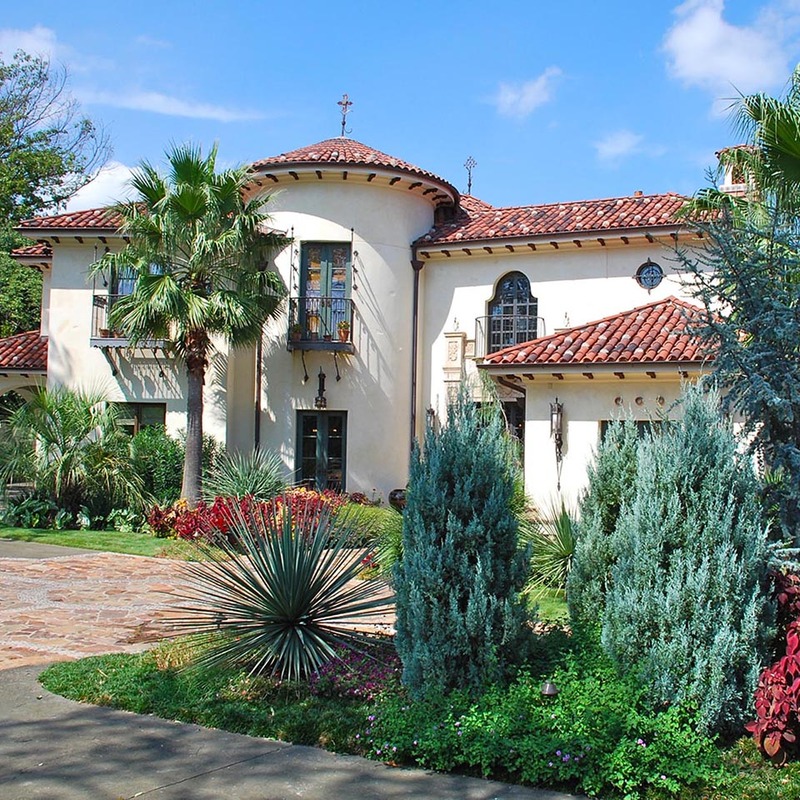 The genesis for the landscape design of this Spanish Colonial Estate was all about multi-generational family and guest entertainment. 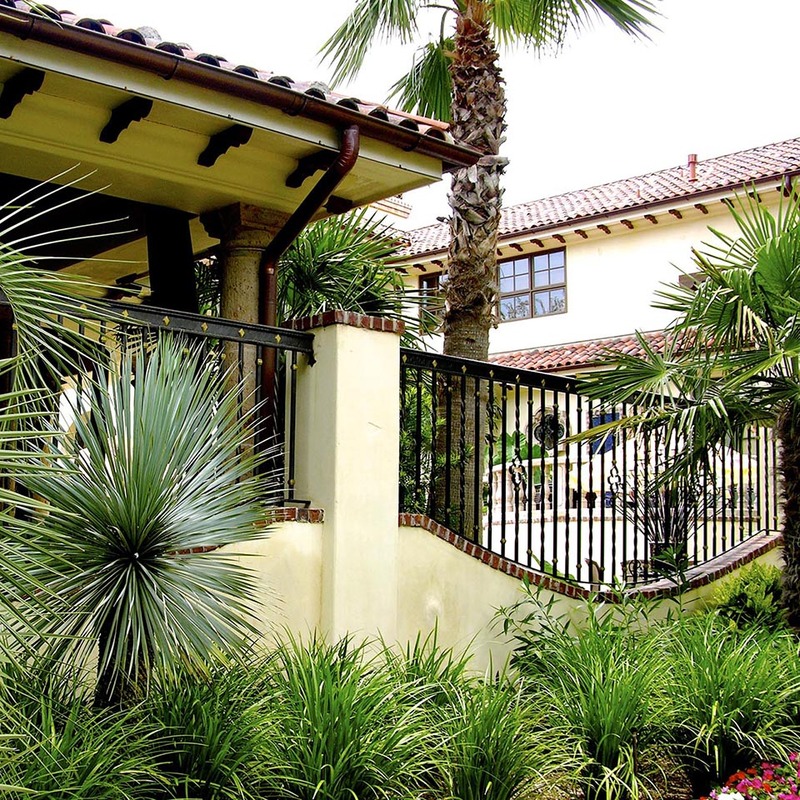 Upon entering the gated auto court visitors are welcomed with lush tropical planting and a decoratively detailed stone inlay to the drive. 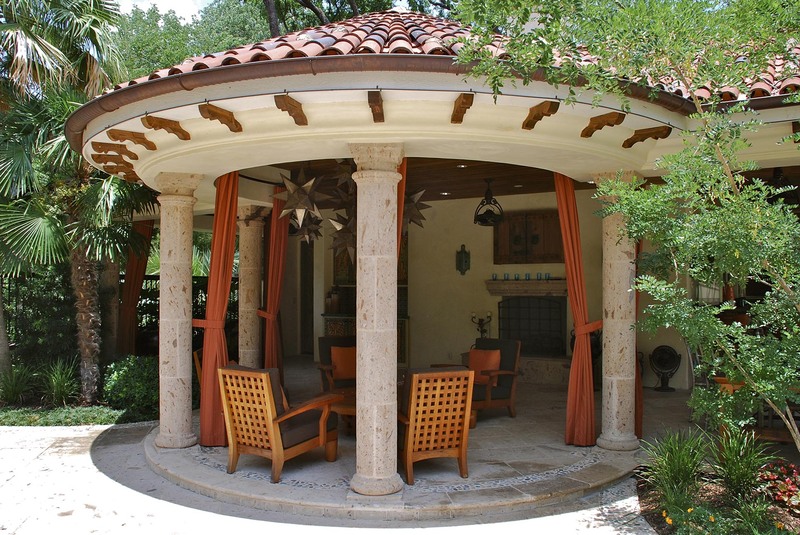 The natural stones warm rust hues compliment the tile roof, and leads up to the large iron and glass double door entry. 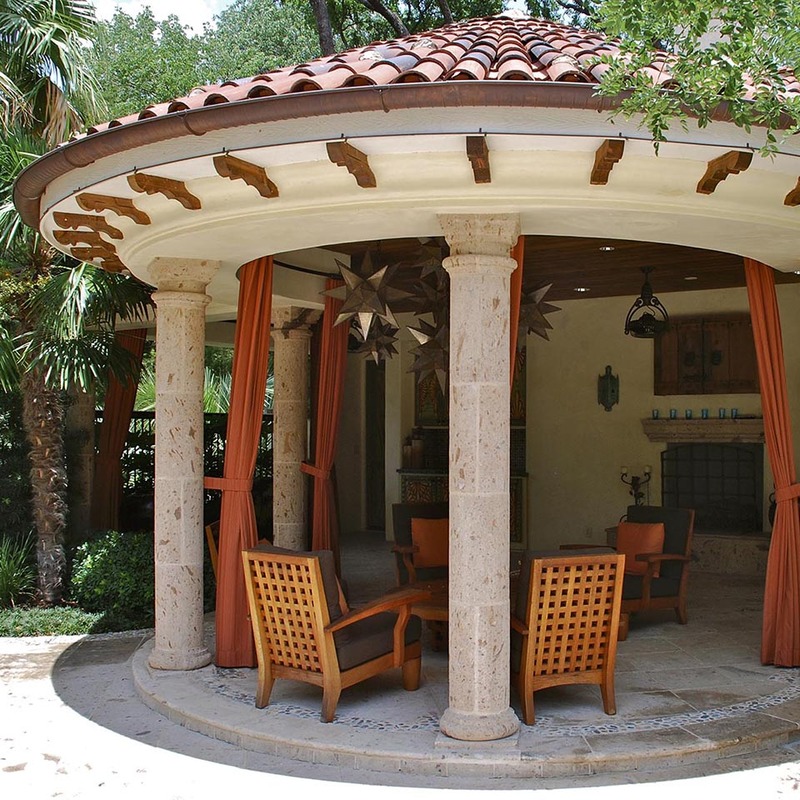 The gracious back wrap around Veranda views out and across a deep blue tile infinity edge pool. 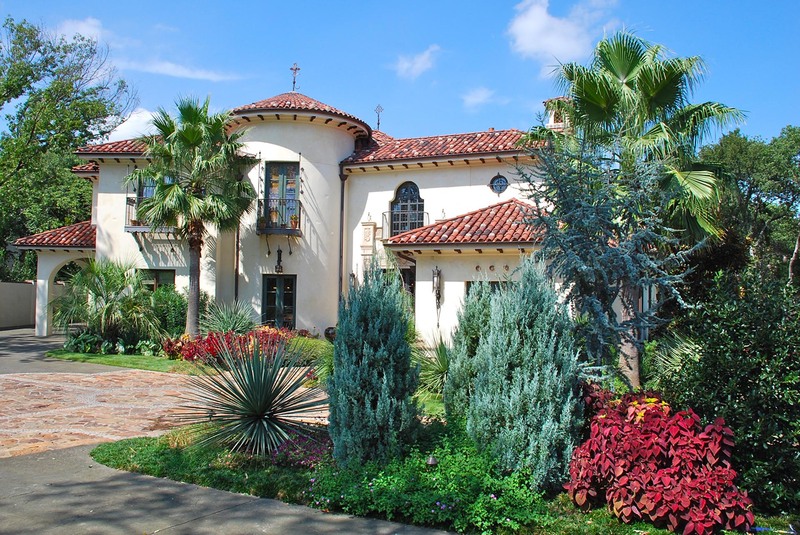 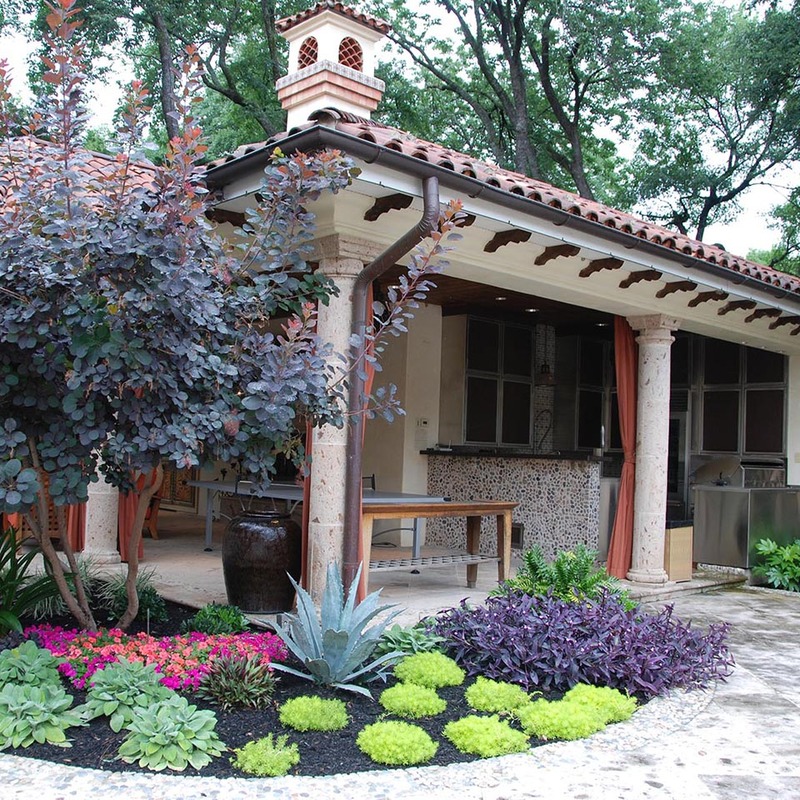 Two circular stair cases bring you down to the lower court yard where a turquoise ceramic pot sets as the centerpiece and a focal point from the pool house with a large outdoor kitchen, covered conversation area and a guest room. 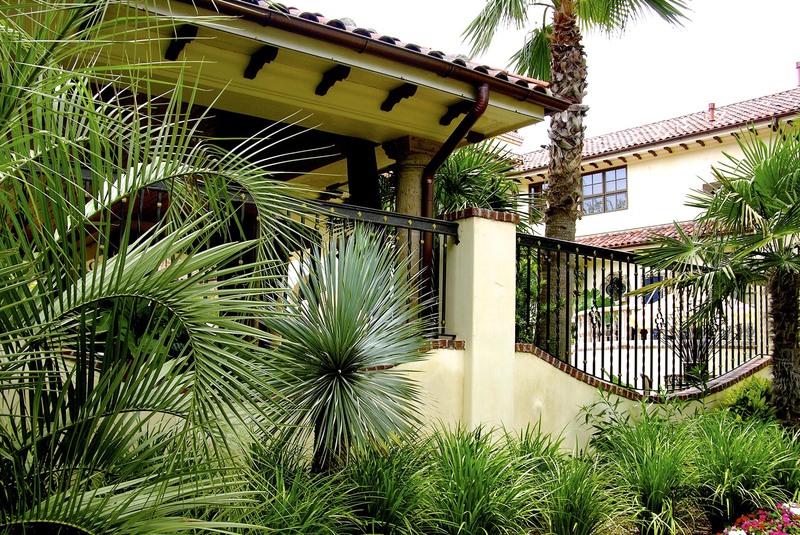 As you leave the courtyard through an entry arbor and elaborate iron gates, you arrive to a large rectangular lawn template. 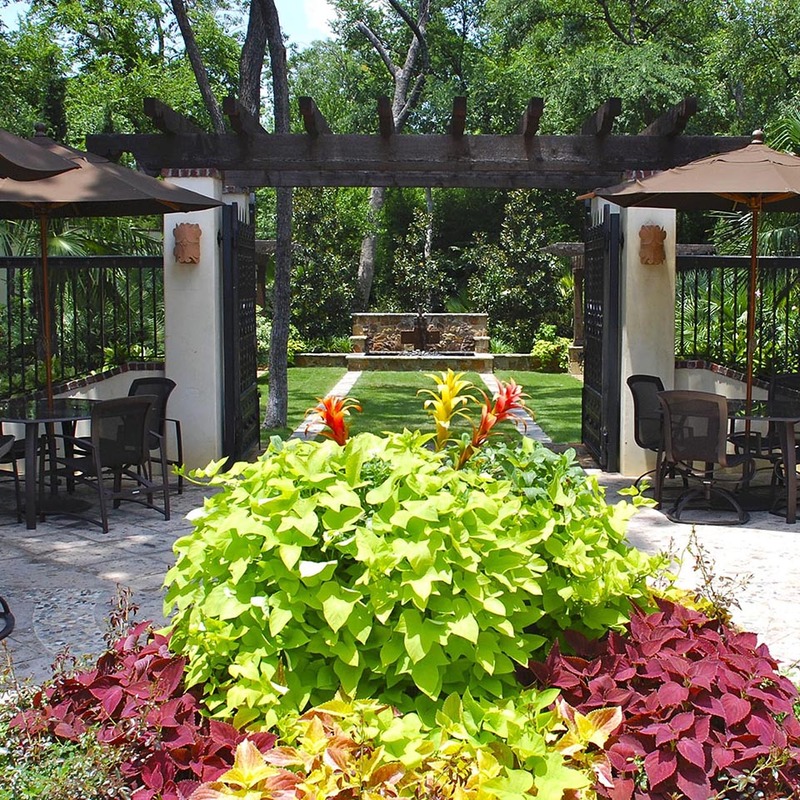 The strong visual view line of this garden is anchored by an iron cross water feature and framed by two additional threshold arbors. 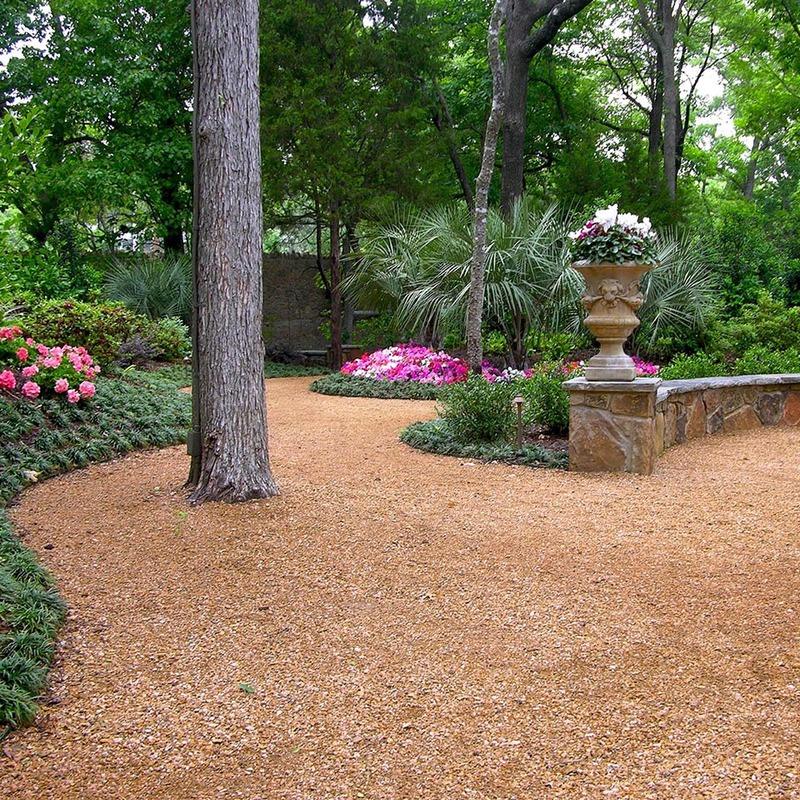 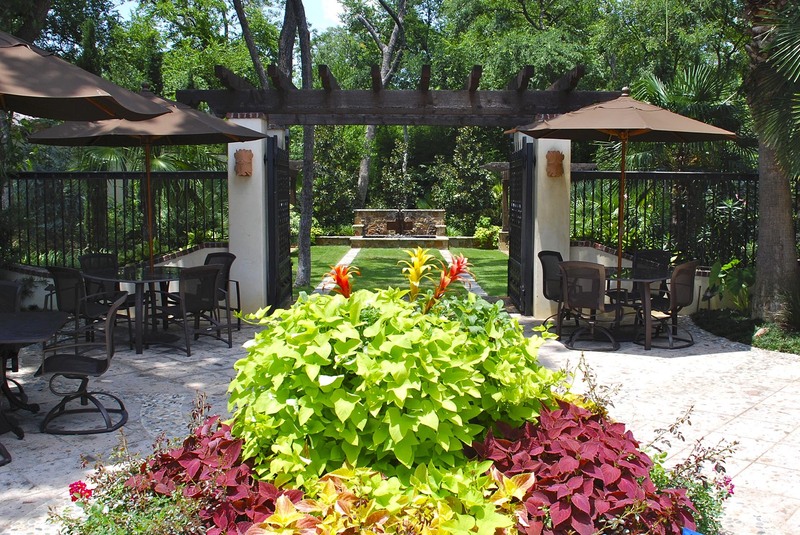 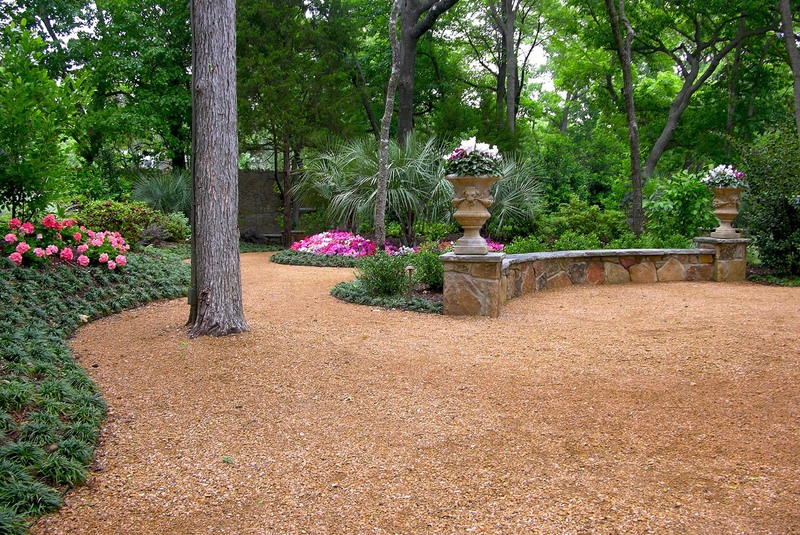 Meandering decomposed granite paths throughout the back wooded lot include the same warm rust natural stonewalls ideal for seating and casual conversation. 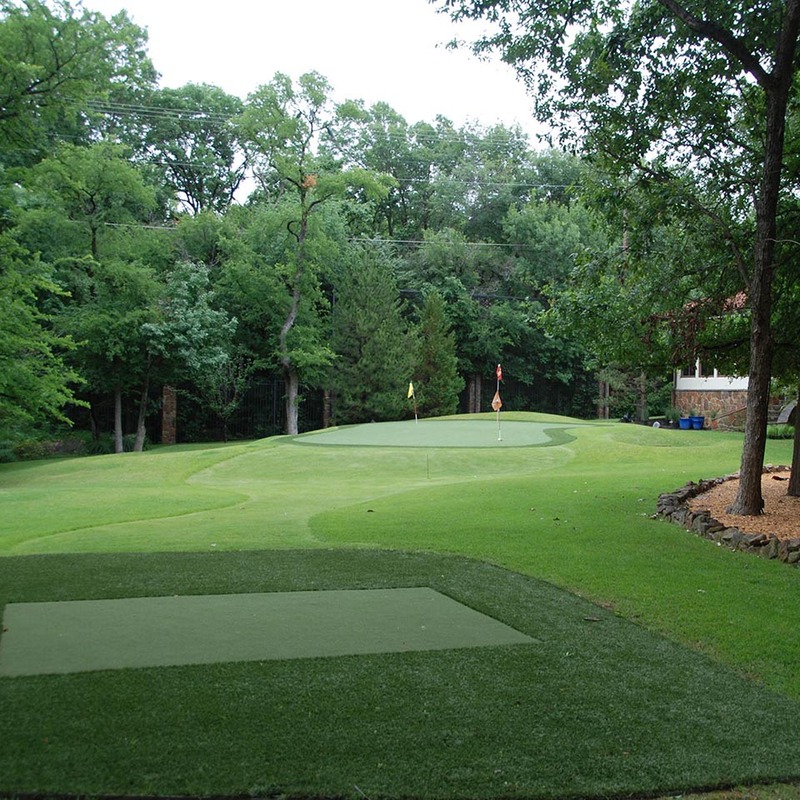 Two chipping mat locations provide guests with challenging shots to an elevated artificial turf golf green with sand traps. 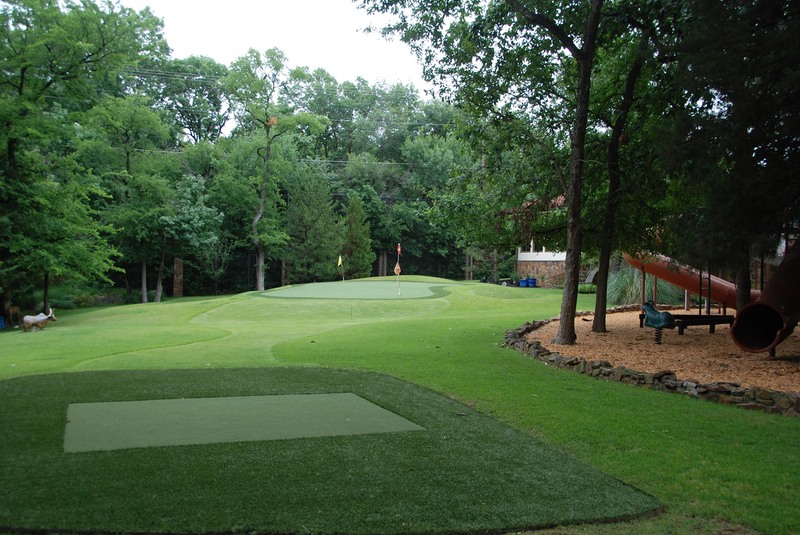 The fusion of two types of natural Zoysia turf, line the fairway, completing this residential professional grade golf experience. 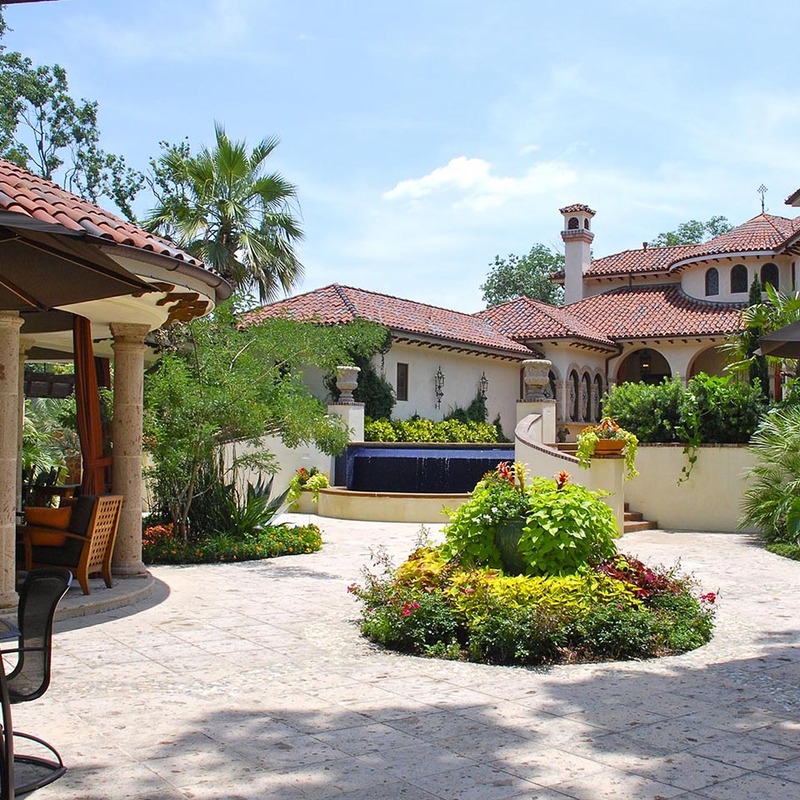 Along side the main residence and a full sized tennis court is an expansive lawn that serves as a gracious open space to play soccer and other sports.